Getting loan approval takes time and a lot of documentation. As expected, VA loan requirements are a little more specific, and in some areas, a little more extensive. Speaking with a lender will give you an accurate idea of what items you need to work on according to your individual situation. However, knowing beforehand what is expected for a VA loan allows you to prepare for the future. 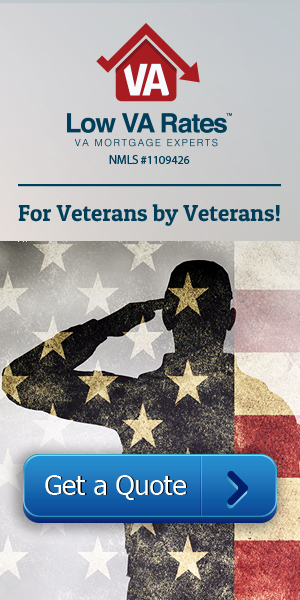 As a Veteran or military service member there are VA Loan qualifications. Certificate of Eligibility (COE): Military service is obviously a must. However, it’s not just the veteran or active service member that qualifies. Spouses of deceased members who died from their service may also be eligible depending on the circumstance and whether or not the VA approves. For proof of VA approval, a potential borrower needs a certificate of eligibility. Anyone who has been dishonorably discharged usually cannot receive a certificate. Adequate Financial Status: All of the borrower’s income must be recorded. Since the lender specifically checks for reliability (whether or not the borrower will be able to pay back the money they’ve been given), any large gaps in employment could present a problem and may need a letter of explanation. The lender also looks for federal debts that have gone unpaid. The veteran must address all of these before the VA will grant approval. You also have to be able to make the monthly loan payments. Credit History and Score: Any borrower with poor credit history has to do a few things before they can be approved. They must pay in full all past-due accounts. These accounts must then be paid in a timely manner for at least 12 months. If you fall into this category, try to get your credit in a good place before applying for a loan. As far as credit scores go, the minimum FICO is typically 620. This is not a complete list, but these VA loan requirements shouldn’t discourage you. Although they may seem stringent and only there to lengthen the process, they actually ensure that you will have an acceptable house and that you will be able to pay for your home down the road. Think of them more as safety procedures put in place for your lender, the VA, and you. These restrictions really aren’t that restrictive. They free you up to enjoy your home for many years. You can find more information on the VA specifications for each one of these MPRs (minimum property requirements) on our blog and on many other sites. Knowing these is particularly helpful if, in the process of buying one house with a VA loan, you are also selling your current house and need to make sure everything is up to par. Like I said, the appraisal checks for more than just these, but this at least gives a foundation for what to expect. Even though this is a long list, the appraisal isn’t nearly as extensive as an inspection, which isn’t required by the VA. Many people still choose to have an inspection of their house before closing, just to be sure everything is in good working order. Beyond checking for safety and health hazards, another objective of the appraisal is to determine the market value of the house which cannot be less than the amount of the requested loan. In addition, it’s important to note that the house being purchased must be a primary residence. Single family homes, duplexes, townhouses, 3 – 4 units, and VA approved condos are all acceptable.